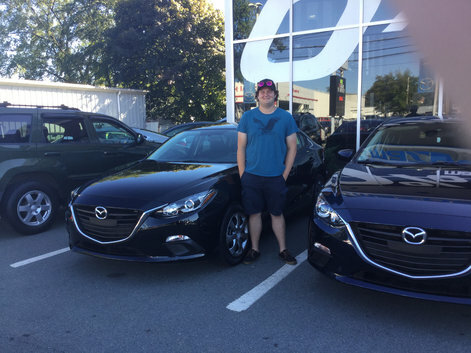 Home > Customer Reviews > Cody's New 2016 Mazda 3! Couldn't ask for a better sales experience. I'm so excited. I just love it. The folks at City Mazda do a great job when it comes to taking care of their customers. 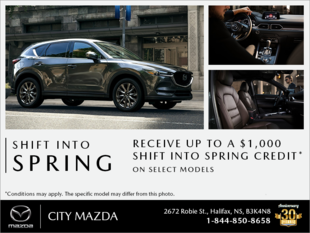 I had the use of a Mazda vehicle for much of last year and found myself visiting this Robie Street dealer on a few occasions. The counter service was always friendly and prompt, and I quite appreciated the detailed explanations I'd get regarding the car's problems. The lounge area, if you do happen to hang out while your ride is being taken care of, is bright and clean with coffee available as well as a television if you're in it for the long haul. The staff here are efficient and friendly, and stick to their word by having your auto ready when they say they will. Great service, speedy repairs, and a pleasant atmosphere - sounds like a pretty good place to me!